WRC Promoter announced 13-event calendar for the 2018 World Rally Championship, with Rally of Turkey instead of Rally Poland. A new calendar would be officially confirmed at next month’s FIA World Motor Sport Council meeting. As we already wrote about it, a decision about dropping Rally Poland from the World Rally Championship came after some security breaches at July’s event. 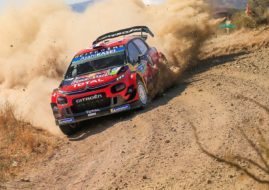 There were three candidate events to replace Polish event – Rally of Turkey, Croatia Rally and Rally New Zealand, with a possibility to expand a calendar to fourteen events. 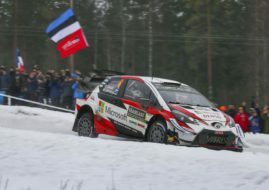 However, WRC Promoter’s chief Oliver Ciesla said that 14th event is doubtful because Croatia Rally organiser cannot agree to summer date while Rally New Zealand had no support due to budgetary reasons. “It was not possible to reorganise the entire second half of the season to squeeze Croatia in. From the last consultation with the teams regarding New Zealand, the costs of this as a 14th event are not what they budgeted and not what they would support”, Ciesla said. So, the WRC Promoter’s proposition for WMSC meeting is just to replace Poland with Turkey. Croatia and New Zealand have to wait another chance in the followng years. Rally of Turkey will get September’s date, filling the gap between Rallye Deutschland in August and Rally Catalunya in October. Turkey is returning to WRC for the first time since 2010. Priot to that, the event was a part of the World Rally Championship five times between 2003 and 2008. The last WRC winner in Turkey was Sebastien Loeb, who also won in 2004 and 2005. Other winners were Carlos Sainz (2003), Marcus Gronholm (2006) and Mikko Hirvonen (2008).